﻿Vincent Leslie Carpenter, Jr. of St. James, Missouri, passed away Monday, February 4, 2019, at the age of 83, at his home. He was born on May 16, 1935 in Bridgeport, Ohio to Vincent Leslie Carpenter, Sr. and Alma Virginia (Stewart) Carpenter. He spent his formative years growing up in Pennsylvania and Ohio, moving due to the war and his Father's employment. 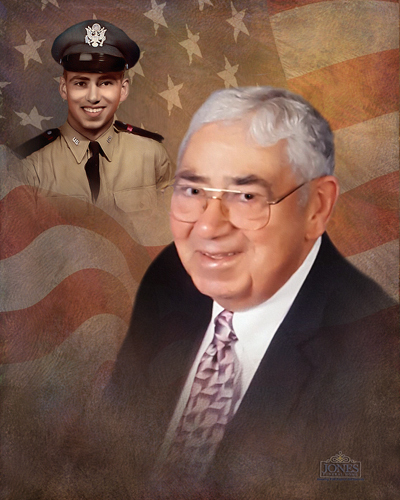 He graduated from Bridgeport High School in 1953 and was always proud to be a Bridgeport Bulldog. After graduation from high school Vince was enlisted for a brief time in the United States Air Force. After leaving the Air Force, he worked for Kroger. However, he missed the Air Force greatly, and re-enlisted, in the hopes of becoming an officer. With no Air Force Academy available, Vince enrolled in the Aviation Cadets School in Harlingen, Texas in July, 1955, graduating as a Second Lieutenant and Navigator in May, 1956. During his successful Air Force career, Vince performed many duties, including weather reconnaissance over the Polar ice packs, Minuteman Missile Silo Controls, and as a Navigator on KC-135 Refueling Tanker Aircraft. On November 24, 1960, Vince married the love of his life, Sally Lee McCue. Sally was a loving, attentive officer’s wife and greatly supported his career. To this union five children were born; Valerie, Vincent III, Eric, Michael and Matthew. 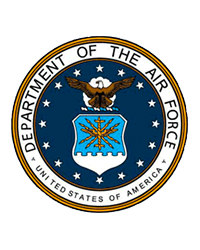 The family saw several duty stations in the United States, including Malmstrom AFB Montana; Vandenberg AFB Lompoc, California; McConnell AFB Wichita, Kansas; Patrick AFB Orlando, Florida and Altus AFB Altus, Oklahoma. Vince served numerous tours during the Vietnam War in Southeast Asia, as well as other tours of duty in Spain and England. He retired as a Major on February 29, 1977. After an accomplished military career, Vince was then employed by Employment Security, Mosers, and UMR for 10 years. Vince valued knowledge & education highly. Prior to the Air Force he enrolled & attended Ohio State University. During his military service he enrolled & attended Kansas Newman College in Wichita, Kansas, graduating with a Masters Degree. Vince was a devoted and loyal Ohio State Buckeyes fan and rarely missed a game. He valued discussion and debate. He was a voracious reader of all subject matter and was always ready to share his point of view on any subject. Vince was also a devoted husband and father. He had a wicked keen sense of humor and would often pull pranks on family members. He was also a good sport when the tables were turned and the prank was on him! He shared a love of gardening with Sally and they could often be seen out mowing, each on their own riding mower. There just wasn't much that he wasn't good at. He listened and gave good counsel. He truly was a Renaissance Man. He was a native supporter of S&T's Campus Performing Arts, Ozark Actor's Theater, and Fine Linen Theater. He also served as a Deacon at St. James Christian Church and as an Elder at Forest City Christian Church. He was Cub Master of Pack 95 for several years. He had a volunteer’s heart and a willing hand to help others. In addition, Vince had a lifetime love of Mastiff dogs. He is survived by Duke and Duchess at home, and will be met in Heaven by many beloved pets who predeceased him. At the time of his passing Vince was a member of the St. James United Methodist Church. Vincent Leslie Carpenter II was an amazing person and will be greatly missed by all who knew and loved him. We will endeavor to uphold the fine example he set in life. Preceding Vince in death was his son, Vincent Leslie Carpenter III. Vince is survived by wife Sally, at home, daughter Valerie Lynne Gleason (Alfred) of San Antonio, Texas, son David Eric Carpenter (Patti) of Indianapolis, Indiana, son Michael Stewart Carpenter (Elizabeth) of Olathe, Kansas, son M. Colin Carpenter (Davanh) of Marshfield, Missouri and daughter-in-law Barbara Brown. Surviving grandchildren include Aaron and Ian Gleason, Vincent L Carpenter IV (Caroline), Jason Carpenter (Stephanie), Gwen Carpenter and Violet Carpenter, Jacob Carpenter (Alexis), Colleen Virginia Carpenter, Matthew D. Carpenter (and son Kaden), Jason A. Snider, Stephen Vincent Carpenter (Janina Pavlak) and Jovonna Carpenter (R. Cody Billings) and sons Brecclan and Asher, Kaitlyn Carpenter and Christine Carpenter. Other survivors include brother Dr. James V Carpenter (Sara Louise) of Midlothian, Virginia, sister Virginia Hodgkiss (Dean) of Steubenville, Ohio, and numerous nieces, nephews and cousins. Visitation for Vincent Carpenter Jr. will be held on Thursday, February 7, 2019 from 6-8 PM at the Jones Funeral Home in St. James, Mo. Funeral Services with full Military Honors will be held on Friday, February 8 at 11 AM at the Jones Funeral Home in St. James, Mo. with Amy Turner and Gene Branson officiating. Full Military Honors will be accorded by Fort Leonard Wood Military Installation. Burial will be in the Fort Leonard Wood Veterans Cemetery in Waynesville, Missouri.